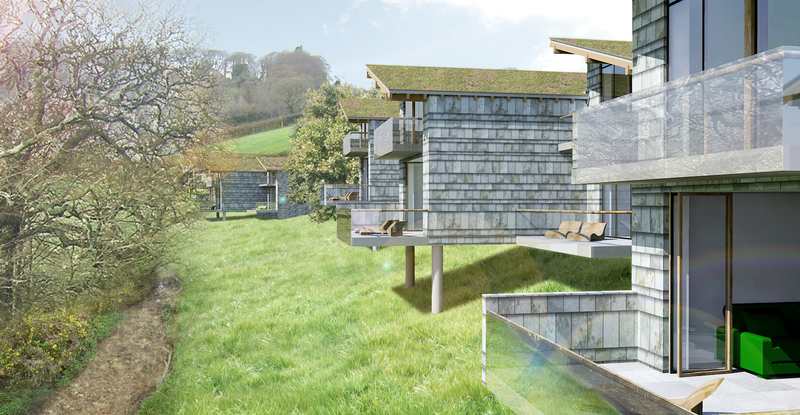 Hewitt Studios proposal for a development of Rural Retreats in Devon consists of 14 No. low energy houses. 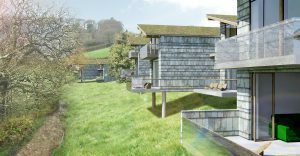 Central to the concept is the protection and enhancement of the natural environment for the enjoyment of residents and the minimal impact of the development proposed on that environment. 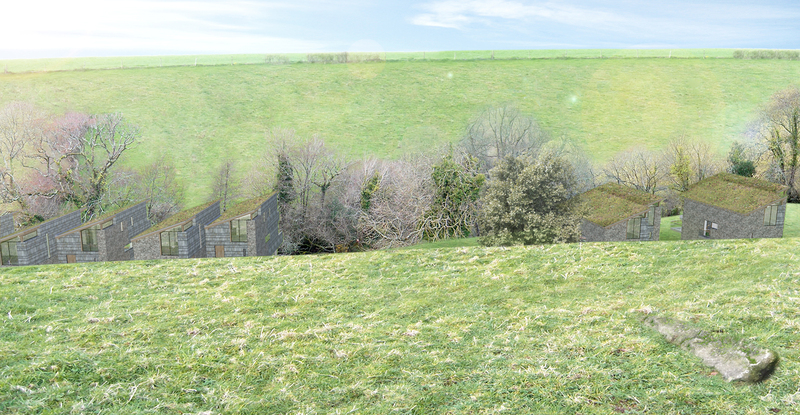 The development is located at the bottom of a steeply sloping valley. Each rural retreat is afforded an intimate experience of landscape character and its wildlife. The building forms share the small scale of farm building groups which are scattered across and forming part of the grain of the surrounding landscape character of the area.